If you would prefer to buy this album on CD, just click here! 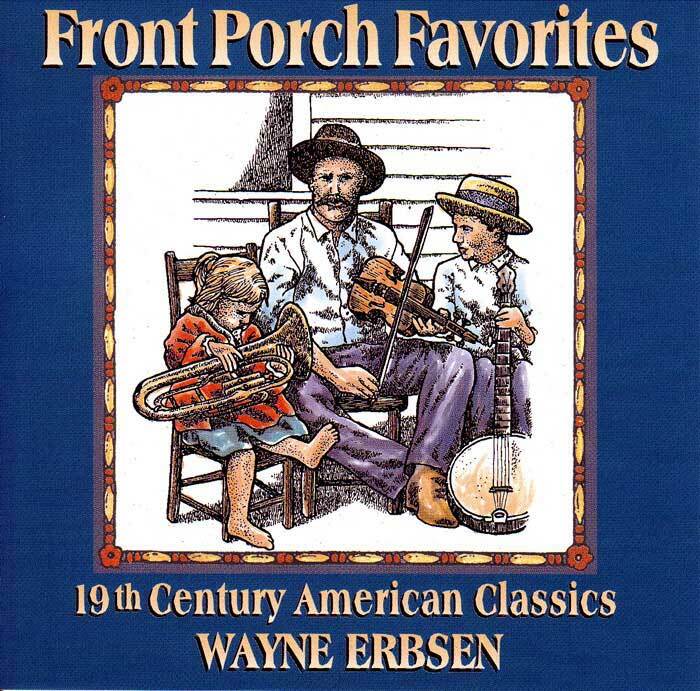 A best-selling recording of 17 foot-stomping melodies found in Wayne’s book, Front Porch Songs, Jokes & Stories. Features Wayne on banjo, fiddle, mandolin, dulcimer, and guitar, David Holt on spoons, washboard, harmonica, tambourine, and bones and Phil Jamison on feet! 55 minutes. All instrumentals. The perfect companion to the book “Front Porch Songs, Jokes & Stories.” Click musical notes, below, to hear a short sound clip of that song. THE TUNES: Arkansas Traveler, Blue-Tail Fly, Oh! Susanna, Turkey in the Straw, Golden Slippers, Old Joe Clark, Buffalo Gals, Grandfathers’s Clock, Cindy, Cripple Creek, Blue-Tailed Fly, Polly Wolly Doodle, Sunny South, Ground Hog, Jack of Diamonds, The Riddle Song, When Johnny Comes Marching Home. Be the first to review “Front Porch Favorites” Click here to cancel reply.